These days, it’s really easy to write code. What’s hard is knowing what the right things to code are. This is something I see all the time. A company builds a successful initial product. They get a bunch of paying customers—which is great. These customers have a lot of new ideas and feature requests based on where they want to see the product go. Because these customers are paying money, and because they often have good ideas, it makes it hard to shoot them down. If you only listen to your existing customers, you reduce friction for adoption. That helps you build according to what your customers need today. But it doesn’t necessarily tell you what your customers will need tomorrow. When your product has a lot of early success, it’s easy to get paralyzed by what to do next. When you start from scratch, you have nothing to lose which means you can do almost anything. When you have a real product, mouths to feed on your team, and customers who count on you, the stakes are higher for figuring out your next move. Build around an existing customer base: They take feedback from existing customers and use them to make incremental improvements to product. Build around an existing product to expand market share: They assess multiple inputs customers, competitors, and the overarching market to reduce friction toward an outcome. It’s much easier—and safer—to pursue #1. Building around your existing customer base can help drive short-term revenue. The stuff your current customers want will often be obvious gaps in your product—SLS encryption, specific integrations, social features. If you build your product along this dimension, you drive adoption for the set of people who might have been your customers earlier, and you increase retention among your existing customers. The problem is that this type of growth doesn’t compound. You’re limited to the market opportunity of your initial product. You expand the market opportunity of your product by digging into multiple inputs around the customer, the competition, and the market. Let’s look at how a couple of companies have recently done this. Intercom is a customer communication platform that helps you talk to your customers through live chat, email, and in-app messaging. Rather than using a help desk for support, a CRM for sales, and a marketing automation tool for email, Intercom allows you to talk to your customers through a single interface. If Intercom only listened to customer feedback, they would have created yet another support tool or help desk. Instead, Intercom started by solving the smaller problem of live chat and used that as a starting point to solve the bigger problem of customer communication with additional products. 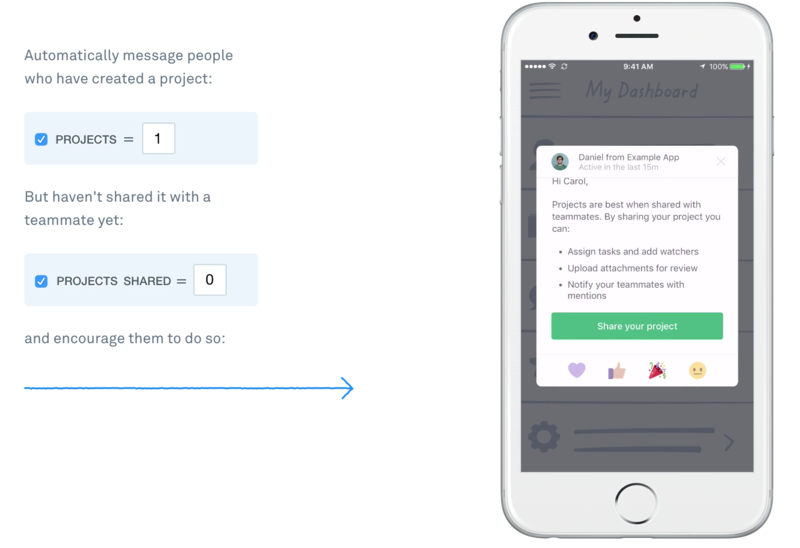 Intercom’s product, on the other hand, allowed you to build real relationships with your customers by installing a messaging layer throughout your app. 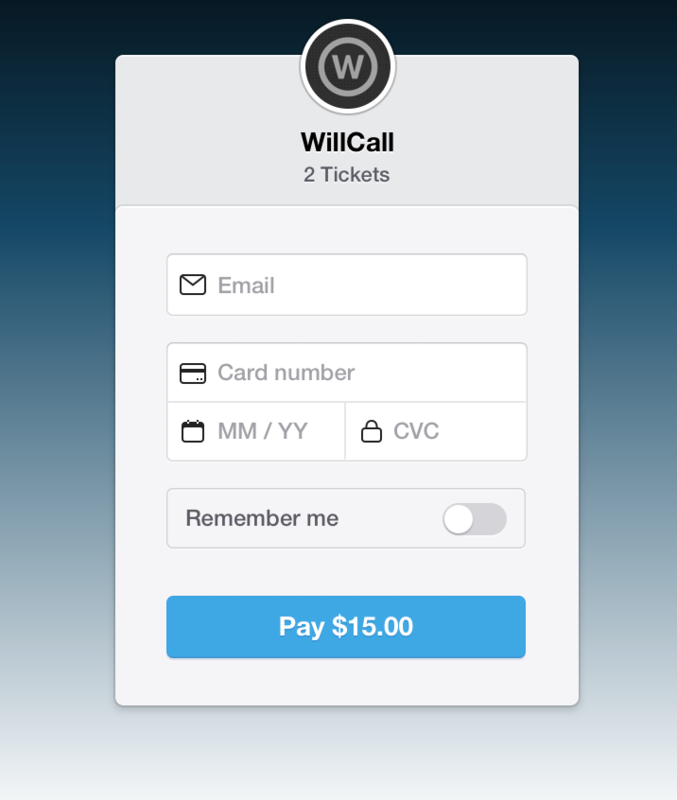 With Intercom, you could talk to your visitors to convert prospects, onboard new users, and support paying customers. What Intercom realized was that customer support, marketing, and sales are all about communication. So rather than focus on specific customer personas like salespeople or marketers, Intercom sold the business use-case of communicating with your customers through a single interface. This is the heart of Intercom’s product strategy and relentless focus on the jobs-to-be-done. 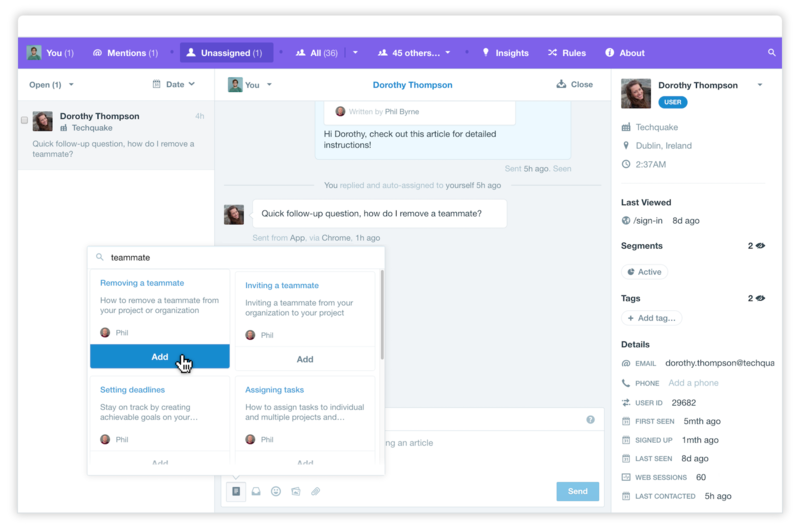 The tools that Intercom competed with were often complicated to set up and designated to a single department—Marketo for marketing, Salesforce for sales, and Zendesk for customer support. With each new product Intercom has added—Acquire (live chat), Engage (marketing automation), Learn (in-app messaging and email), Educate (Knowledge Base)—the focus is on the service that the product renders, rather than the persona using it. Marketers might use Acquire to get website visitors to convert, and Engage to onboard them afterward. Sales might use Acquire to prospect customers, and Educate to answer specific questions. This strategy has carried Intercom a long way. Intercom’s latest Educate product reached $1.5M in annual recurring revenue within two months. As a point of comparison, it took the company two years to reach $2M ARR from 2010. The kicker is that each new product Intercom releases, like Educate, expands the company’s market opportunity. 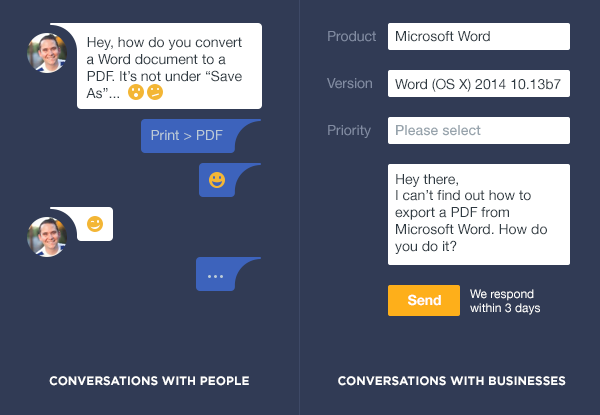 A company might get started using Intercom to handle customer support. Once they’re already in Intercom, they can easily start using another Intercom product for sales or marketing, for example, with very little friction. Intercom’s platform strategy is built around creating more and more use cases for Intercom within a single company. 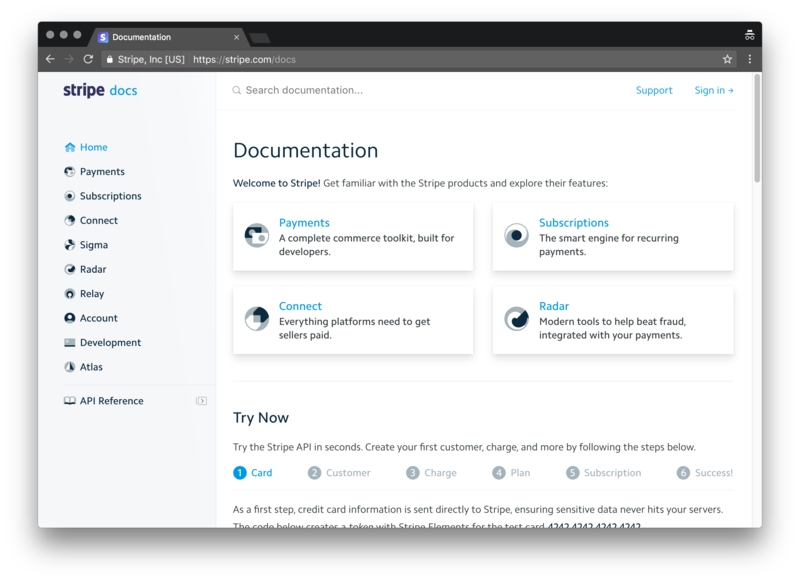 The landing page for Stripe’s developer documentation lists each of Stripe’s products. While Intercom began with live chat, they expanded into solving the bigger problem of business communication. Moving in the opposite direction, Stripe began by solving one really big problem and has layered additional products on top of it. When Stripe was founded, there were a lot of payments options for e-commerce companies, but none for anyone else. The growing number of SaaS companies, gifting sites, and more, often had to work with legacy infrastructure and tons of paperwork. Stripe provided developers with an API that would help them get started with online payments in minutes. 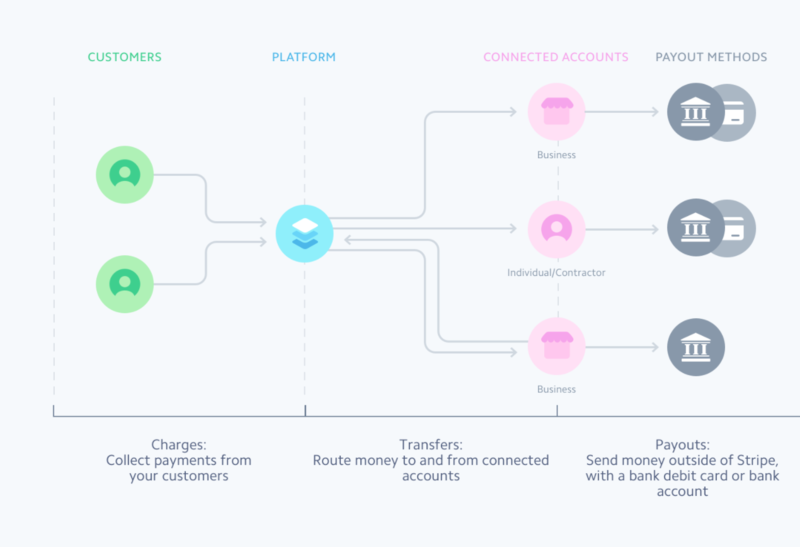 Then Stripe used what people built on top of its API to figure out how to be even more useful to customers, from building out subscription payments to facilitating online marketplace transactions. 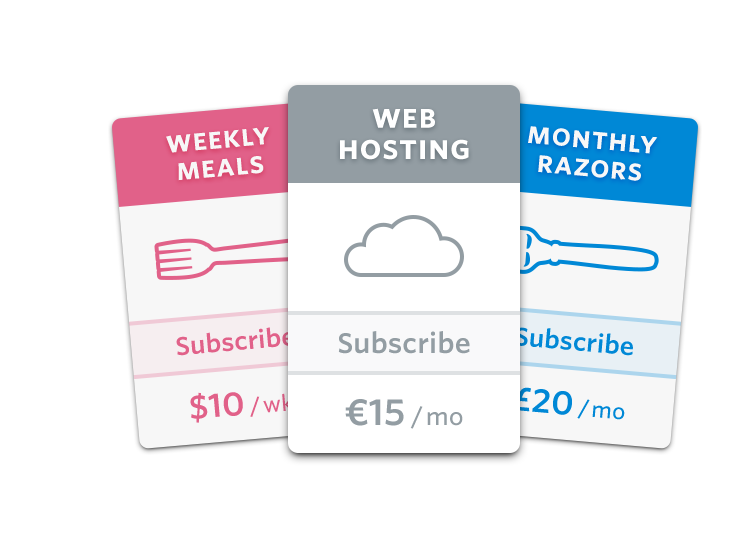 Subscriptions: This engine accepts recurring payments. Connect: Makes it easy for marketplaces like Lyft and Instacart to accept money from and pay third parties, like contractors and drivers. Relay: Makes it easy to sell products within third-party apps. 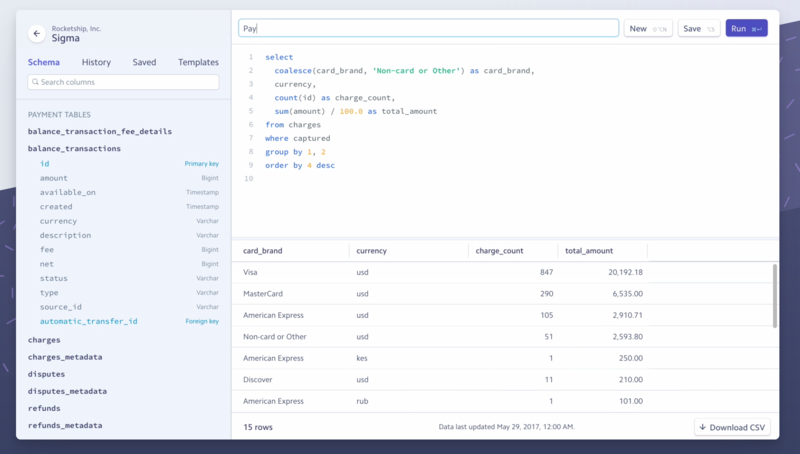 Sigma: Business analytics for Stripe payments data. In the early days, this allowed Stripe to earn developer love by helping them directly. But it also showed Stripe what to build next. Feng said, “I guess we looked at that kind of like, ‘It seems like a lot of people are trying to do this thing, maybe we should build something around it.’” That’s how Stripe’s Marketplace offering came about, which is now used by companies like Lyft to help third parties accept payments. Stripe did more than listen to customer feedback. They proactively dug into what their customers and what other people were building and tried to figure out how to help them. Stripe created infrastructure for products that hadn’t been built yet. By continually building around the core problem of making payments really easy, Stripe is creating a payments toolkit and a reliable infrastructure that new forms of online commerce can build on top of. Nobody ever went wrong making things ten times easier for their customers. Focus on engineering first: SaaS companies like HubSpot and New Relic grew rapidly through aggressive marketing and sales. Today, there’s a lot more SaaS which means companies need to focus on product and engineering to grow. At Intercom, 50% of the company works in engineering or design. Stripe didn’t have any product managers until 2016—before that, every product initiative was led by an engineer. Prune your product: One of the best ways to figure out the right direction for your product is to look at what’s not working. As you grow your company and team, you’ll inevitably add unnecessary features that bloat your product. If you’re not sure which features to kill, Intercom co-founder Des Traynor advises asking yourself one question: “If you knew then what you know now, would you still have built that feature?” If the answer is no, kill that feature. Solve the hardest problems, not the most interesting ones: The hardest problems aren’t always the ones with the most buzz. The problems that your customers have and care about are the ones that people have always cared about. Stripe co-founder Patrick Collison makes the point: “Most technology companies are building cars; Stripe is building roads.” To do so, Stripe had to establish partnerships with banks. They had to deal with fraud and security. These weren’t the most exciting problems—but they’re ones that matter most to people. Small, incremental improvements are good. They’ll make your existing customers happy and make it easier for new customers to adopt your product. 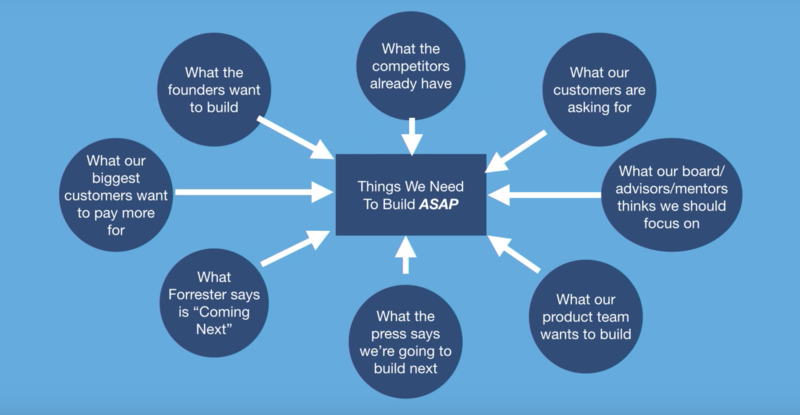 If you want to build something massive, though, you have to look beyond your existing customers. To expand your market, you have to build for impact.